The Hamburg-based brand Gin Sul has long been able to establish itself at the very top of German gins. This drink just ticks off all the boxes when it comes to taste, looks and concept. 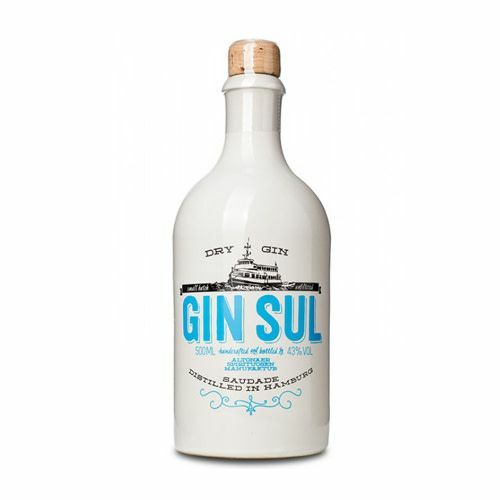 Regarding the taste, it can be declared that Gin Sul tastes like a vacation filled into a bottle ready to drink. The aromas responsible for that are derived from ingredients the likes of which you'll certainly meet at the Portuguese west coast. Apart from the usual suspects such as juniper, cardamom, lavender and lemon peel, you will encounter cinnamon, rose blossoms, allspice, rosemary and labdanum.